More than two dozen people gathered around Piazza Perugia at Julia Lee’s Park in Seattle’s Madison Valley to hear the words of esteemed architect Paolo Lattaoli. Over pastries and coffee from nearby Essential Baking Company, the attendees listened eagerly as Lattaoli spoke. Translated by Honorary Consul of Italy in Seattle and Perugia native Elisabetta Valentini, Paolo Lattaoli’s melodic speech was pithy but profound: he shared with us his belief that piazzas give us something far more than simply aesthetic enjoyment, but also a sense of camaraderie and community. He was also sure to mention how much he enjoyed exploring Seattle and the kindness he was shown in the two weeks he spent here. He informed the crowd that this was his first trip to Perugia’s sister city, but we have a feeling that it will not be his last—let’s hope the weather is just as beautiful next time as it was for this occasion! Sadly, he departed March 17 to return to Italy, but his visit here is something that SPSCA and its supporters will not soon forget. Board member Mike James concluded with some parting words, including a call for ideas on how we might utilize this space more often to gather together. Hopefully, as we come up suggestions, this will not only give us even more opportunities to enjoy ourselves but we will also be honoring the words of Paolo Lattaoli in the process. Thanks to Danielle Hayden for this post. Editor’s note: To read more about the origin of Lattaoli’s trip, click here for “A Story of Adventures and Partnerships” from the Civita Institute newsletter. 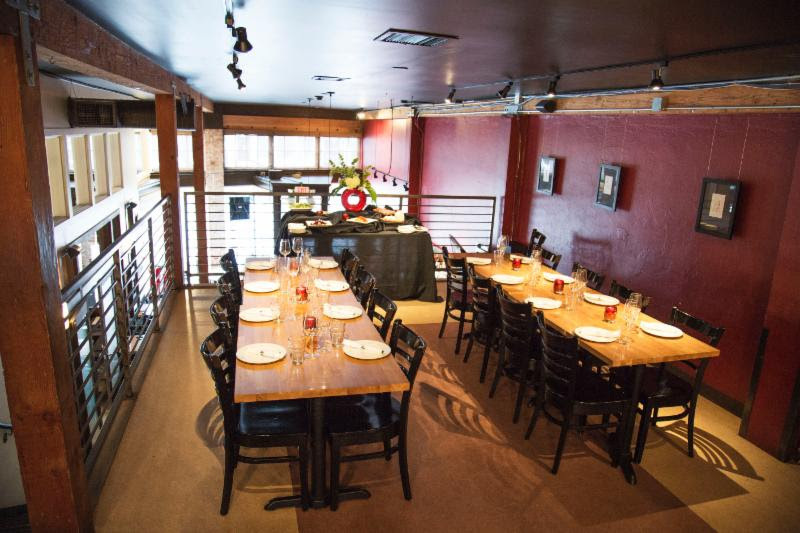 Members Dinner at Tutta Bella On April 2nd. April 2nd at 7:00 pm. We will each order off the menu with separate checks. The owner, Joe Fugere, is providing complimentary desserts. You can park for free in the garage under the Whole Foods store. Lynne Hobaica, our de Poi exchange artist, is finishing up her last few days in Perugia. She had a full house for her June 11 presentation at the Academy of Fine Arts. Last year’s recipient of the de Poit award, Qing Qu, who spent three weeks in residency in Seattle with Pottery Northwest, was one of the attendees, along with our sister city president Leslie Keller. Hobiaca (below, right) created this beautiful pitcher with the image of the griffin, the symbol of Perugia. (It’s also the name of our sister city e-newsletter.) She presented this lovely ceramic piece to City of Perugia officials to thank them for welcoming her so warmly. Sad news for the Italian community and for those who appreciate historic preservation. The Garden House on Beacon Hill, where the Dante Alighieri Society has held its meetings for many years, may be looking for a new home. 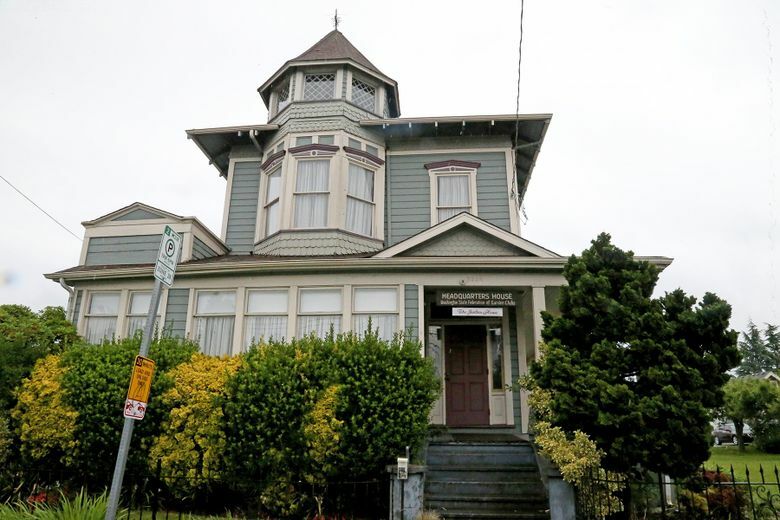 The Washington State Federation of Garden Clubs voted this week to put the house up for sale. Built 145 years ago, it is the oldest building on Beacon Hill. The future of the historic property, valued at more than $2 million, is up in the air. Read more here. Seattle ceramist Lynne Hobaica is winding up her three-week residency in Perugia as the 2018 De Poi Award recipient. She is the third artist to participate in the exchange program. A presentation and discussion of her work will held June 11 in Perugia at the library of the Accademia delle Belle Arti (Academy of Fine Arts). We thank our many partners in Perugia who hosting Hobaica during her residency. Partners include the Academy of Fine Arts, Perugia-Seattle sister city association, City of Perugia, Antica Deruta and Chiara De Poi. The De Poi Award brings together artists from Seattle’s Pottery Northwest, the region’s premier pottery facility, with artists selected by the Accademia delle Belle Arti (Academy of Fine Arts) in Perugia. The sister cities alternate hosting artists each year for three-week residencies. Hobaica, below, a native of Phoenix, received a BFA from Syracuse University, N.Y., and an MFA in sculptural conceptions/ceramics from the College of Fine Arts in Linz, Austria.